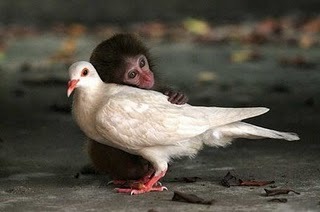 A little macaque nestles its head on a pigeon that responds peacefully on Neilingding Island, China. Three months ago, the macaque was born on the island, but strayed from its mother. Luckily, it was taken in by work staff in the protective station and made the acquaintance of the pigeon. 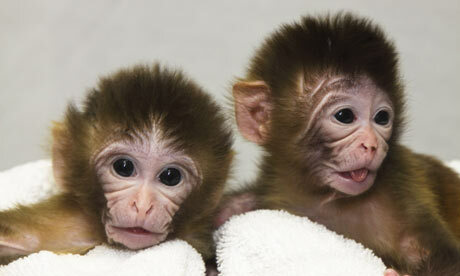 More than 2,000 macaques live on the island.